To get the look at home, buy or make a simple, frosted cake. Then, use shears or kitchen scissors to cut a bunch of roses, or flowers of your choice, to about 1" long. (Remember to thoroughly wash and dry the stems, since they'll come into contact with the food.) Then, insert the first stem straight into the cake, and angle the others slightly to create a "bouquet" effect. Julie alternated... 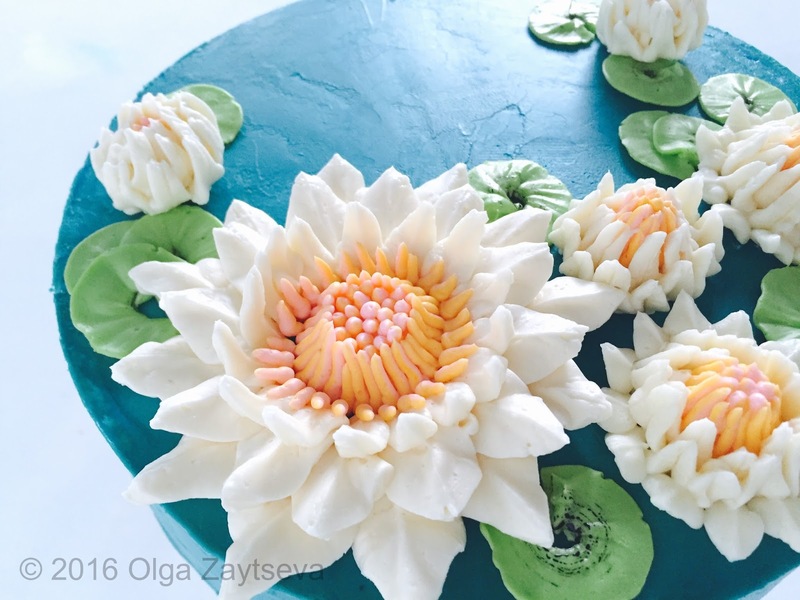 When you're ready to decorate the cake, a maximum of a few hours before presentation, wash the flowers in a gentle, cool stream of water. Alternatively, fill a bowl with cool water and swish the flowers, leaves or petals around in the water. Place a layer of paper or tea towels on the counter. Set the foliage onto the towels and allow to dry completely. 1. Thinly roll out the green flower paste and cut out a selection of different sized leaves using the rose leaf cutter. You will need about ten to fifteen individual unwired leaves. When you're ready to decorate the cake, a maximum of a few hours before presentation, wash the flowers in a gentle, cool stream of water. Alternatively, fill a bowl with cool water and swish the flowers, leaves or petals around in the water. Place a layer of paper or tea towels on the counter. Set the foliage onto the towels and allow to dry completely.